Which solder paste for LED reflow? Is this a decent choice for something available on Amazon? It has lead (probably not much content), is that the better choice over the lead free? and heat aypplied from below, not from above! Tried them all, I liked MG Chemicals, but went back to Kester EP256 63/37. 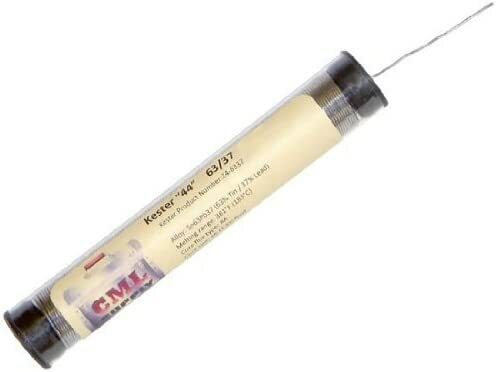 I buy from CML Supply it seems to be fresher because they sell a crap load on Amazon/FleaBay and in my experience it flows a bit better/faster/cleaner with a hot air/reflow station and last longer, IMHO, it was $17.99 free shipping 3 days to the door, usually. Like the others I usually use the MGChem stuff. I have also used a lower temp Sn/Bi paste called Maker Paste, it seems to work fine as well. SnBi based solder paste has very BAAAAD thermal properties and very brittle. EDIT: I only use it for [wire pads] on hard to solder MCPCB, mixed with approximately 30% Sn60Pb40 to make it slightly flexible. Never use it for LED or anything requires good thermal conductivity. AFAIK, Sn52Bi48 only has 19W/MK TC. For comparison: copper ~400W/MK, Aluminum ~200W/MK, Brass ~100W/MK, Stainless steel ~16W/MK, Sn63Pb37 51W/MK, SAC307 62W/MK. I figured that might be the case, I originally got it because it was the only thing available. @Muto, do not use SnBi thermal paste for anything other than soldering springs. It does not work well for LEDs and connections at all. All the resistor’s plus cap’s (size 0402) and other components are reflowed with the Chipquik and a hot air. I use this same stuff for all my led reflows too, I haven’t found a need to try anything else, if it’s not broken why fix it. I agree 100%. I haven’t found anything better. The added silver also helps improve conductance. I know Micro Center has locations in PA, so if you have one near I’d suggest checking out their soldering supplies. I used to order everything after Radio Shack went away until I finally realized Micro Center has just about everything you’ll ever need. 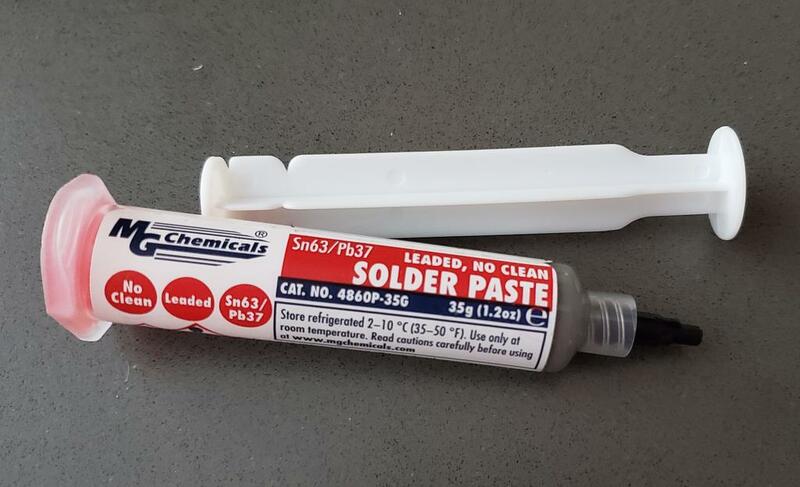 I don’t even use solder paste. I use the same solder that I use with my iron, Kester 44. I clean the old solder off the pad then add flux and solder with my iron. Then more flux and put the led on top and heat the mcpcb up again. The thing about pastes is they go bad over time and then don’t work well. I’d rather have the reliable spool and do the extra step. Just my opinion. How do you reflow? If you are using hot air for a PCB or hot plate for MCPCB paste is really helpful. I have been using the same cheap syringes of paste for a few years now without issues. A lot of pastes technically expire like 6-9 months after date of manufacture. I rarely reflow stuff, so that paste just goes to waste with me. I’m also not real comfortable using it after the expire date. It’s probably okay, but eh. Figured there would be plenty of choices and just like when I first visited here, I have no clue what a lot of the terms used in the above posts mean and don’t need to know just need what works all around best for an amateur hobbyist and it looks like this stuff will do well. The thickness of alloy is very small to have a significant effect on final heat dissipation. An more narrowed space- the p-n junction to thermal pad. You was compare the junction themperature with different alloy, with infrared thermometr? It is significant. 50W/MK vs 86W/MK TC made huge difference in output. Haven’t tested 19W/MK vs 50W/MK but I suspect the difference would be much greater. Someone used this Good for leds? It’s works good but not my favourite. Keep it in cool in an air tight container, gets dry fast when left open overnight. I prefer higher oily flux content. Get the syringe container for longer shelf life.